The collection of papers brings out the complexities in PPP in terms of types, conceptualization, structure, institutions, and financing. It covers a broad sweep ranging from infrastructure to services and utilities; and from global to Indian states. The methodology is primarily empirical but the thrust is on conceptualization of PPP in its various forms and frameworks. PPP is still a practitioner's field but is growing in size and significance; and as a solution to failures of public system and the consequent privatization. It is a major attraction to policy makers and funding agencies given its middle-of-the-road approach. It is likely to gain currency, but it is important that we get deeper understandings of this form before we place more faith in this. 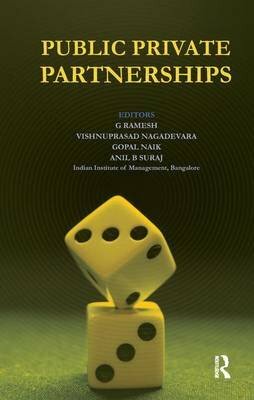 The papers in this book, selected from a conference on PPP held at the Indian Institute of Management Bangalore in 2008, raise several important conceptual issues and seek to address some of them.